Welcome to my ePortfolio. This webpage contains my work history, education, missions, visions, values, skills, goals, attributes, and accomplishments. I am currently a student attending the Criminal Justice-Policing Diploma program at Lethbridge College. The purpose of this page is to inform people of the assets I can provide in a work environment. My mission is to help those who are in need through the use of skills, knowledge, and wisdom that I am continually acquiring from both education and life experiences. My vision is to ensure that everyone is, actively and proactively, safe and secure within their communities. 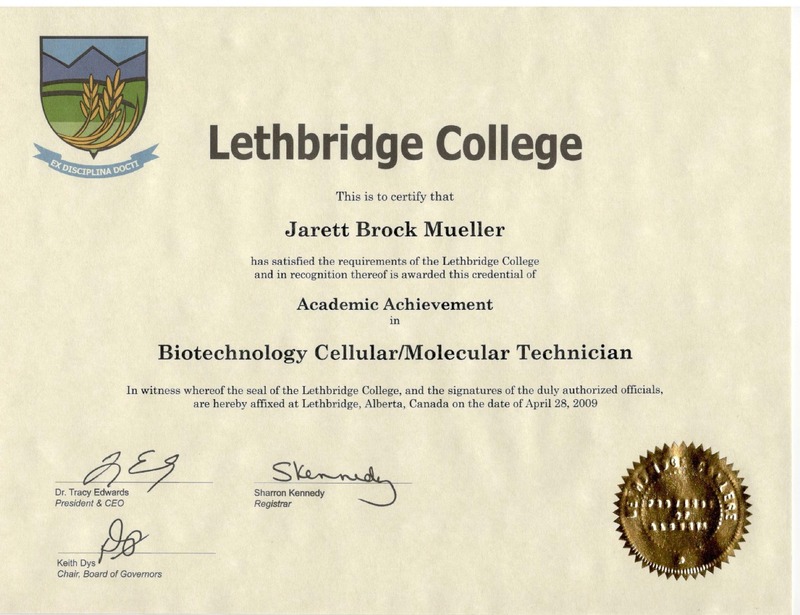 Graduate from the Criminal Justice Program at Lethbridge College. Work with community associated organizations that share my values, and make contributions to the public. Achieve a more than satisfactory grade point average within the Criminal Justice Program. Get the training I need for a promotion in my workplace. Complete all the testing that is needed to be hired on with a law enforcement agency. 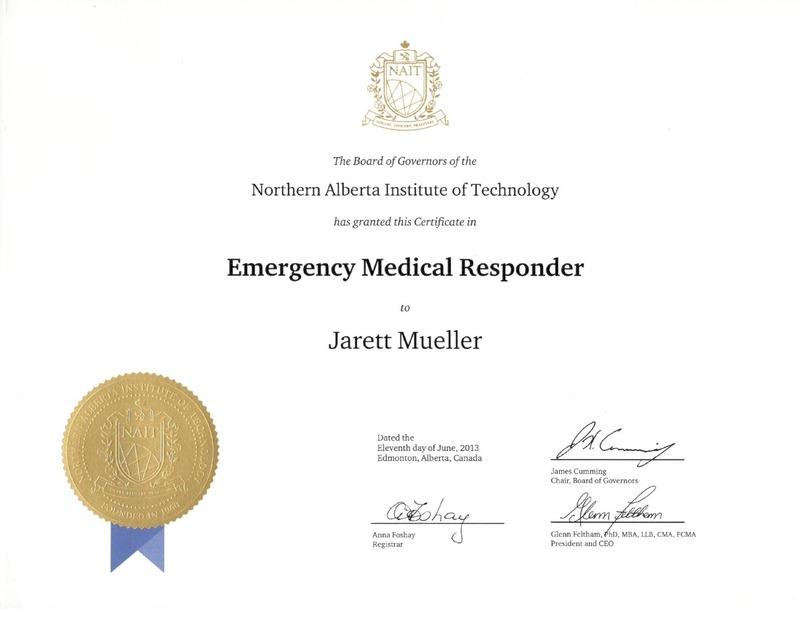 Have an established career where I can thrive and make contributions to the public’s safety. Settle-down, and have a family and a home. Have a leadership role or rank within an agency where I can share any expertise I have learned from my career. Have a maintained healthy and happy lifestyle. Acquired a vast pool of wisdom from life experiences, interactions, and trial and error. From my interactions and relationships with people, I have learned a higher order of thinking and emotional intelligence that makes me a noticeable individual. Developed alternative problem-solving. I try to achieve objectives or solve problems in more than one dimension of thinking; I go outside the box. This is where wisdom crosses-over; I look at all problems as a whole; not always as pieces. My life experiences allow me to make informed decisions in any situation. Well-developed customer relations. Through the numerous customer service oriented jobs I have worked over the years, meeting peoples' needs has become first-hand to me. In a team setting, I work towards the common goal, and help others to achieve it without compromising. Proficient communication skills through multiple medium forms; be it paper, one-on-one talks, or public speaking, I am skilled in expressing my ideas. Public speaking has always been my strong-suit; presentations I have given in an educational environment have always been well-received. Reading science-fiction and fantasy novels, weight-lifting (strength and endurance circuit training), group pen & paper games, non-competitive sports (kickboxing and boxing). 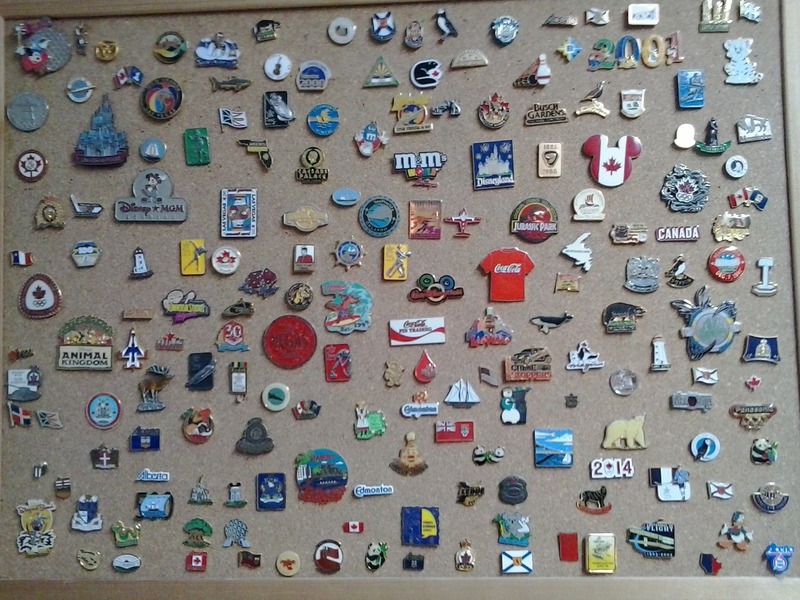 The image on the left is my pin collection; the pins come from places and events that I have been at, wished I have been at, and wish to visit or experience one day. 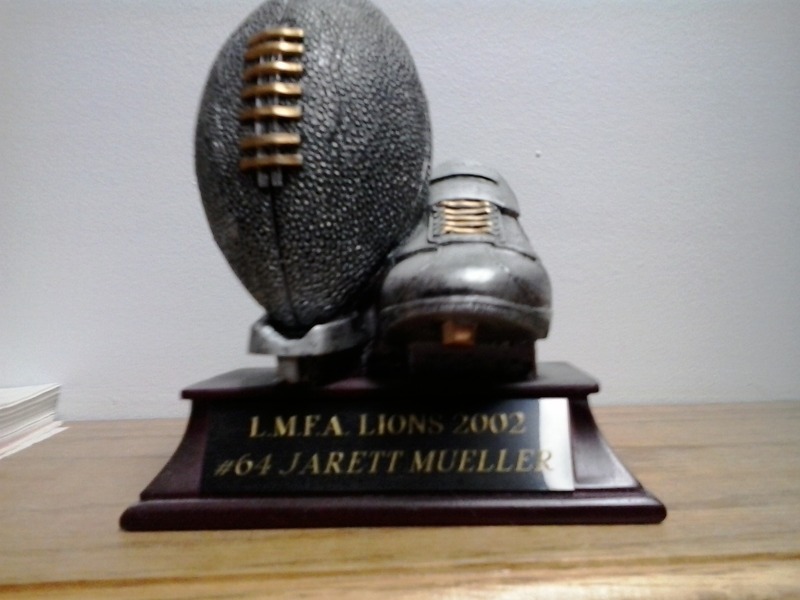 The middle image is of the MVP award I received in football. 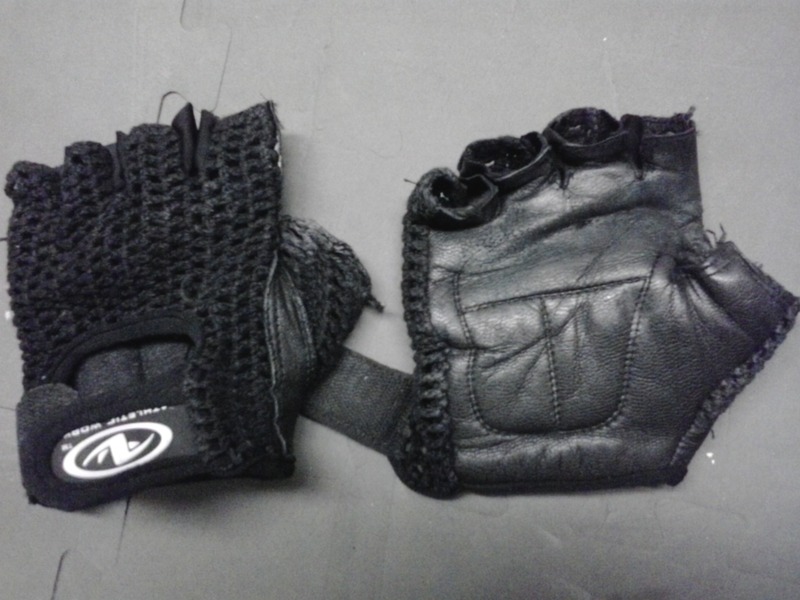 The picture on the right is of an old pair of work-out gloves that I hold onto in remembrance of the lifestyle change I did in my last year of grade school. In that last year, I lost 50 pounds of pure body fat, 6 inches off my waist, and gained 20 pounds of muscle.